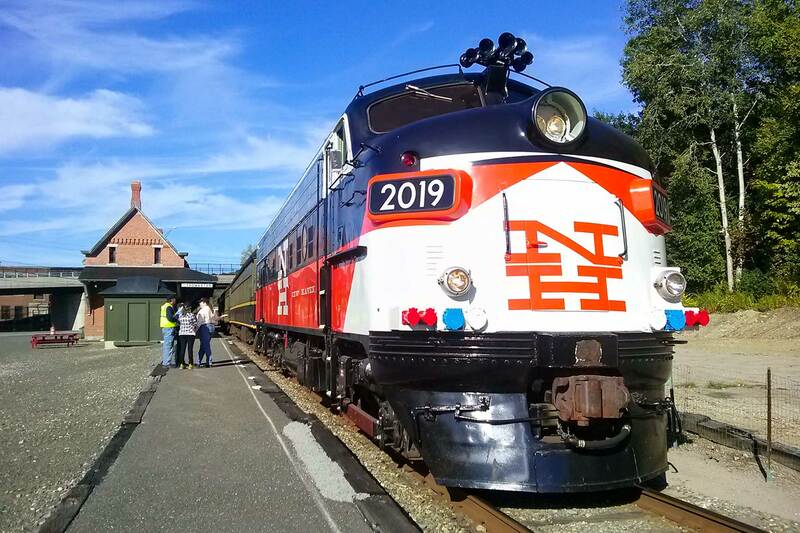 ConnDOT 2019 (NH 2049), a retired FL-9s rebuilt and upgraded by Chrome Locomotive in Silvis, Illinois and used as a regular engine on the museum’s excursion trains. We’ll conclude the day with a scenic train ride on the Naugatuck Railroad through the beautiful Naugatuck Valley. Views of the Shore Line Trolley Museum, Railroad Museum of New England and the Naugatuck Railroad. The ERA will kick off this summer with a day trip to two fantastic rail museums in Connecticut. 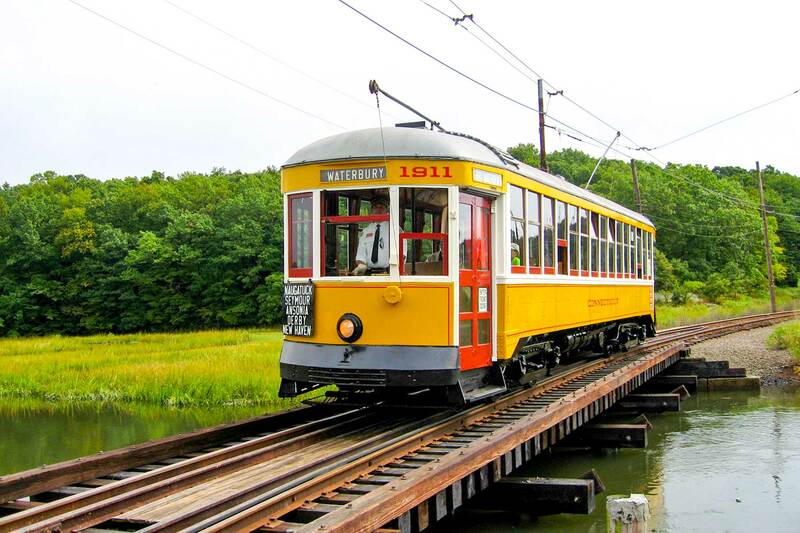 We will visit the Shore Line Trolley Museum in East Haven and the Railroad Museum of New England in Thomaston. We’ll conclude the day with a scenic train ride on the Naugatuck Railroad over the former New Haven Railroad Naugatuck Valley Branch. The Shore Line Trolley Museum is the oldest operating trolley museum in the United States. The museum includes exhibits on trolley history and offers rides on restored trolleys along its 1.5-mile track. Their incredible collection includes a luxurious ConnCo parlor car, the oldest preserved transit car in the U.S., the personal car of August Belmont Jr., the oldest surviving electric locomotive, the first production PCC streetcar, and a PATH train that survived the collapse of the World Trade Center on 9/11. The Railroad Museum of New England has a diverse collection representing the history of New England railroading. 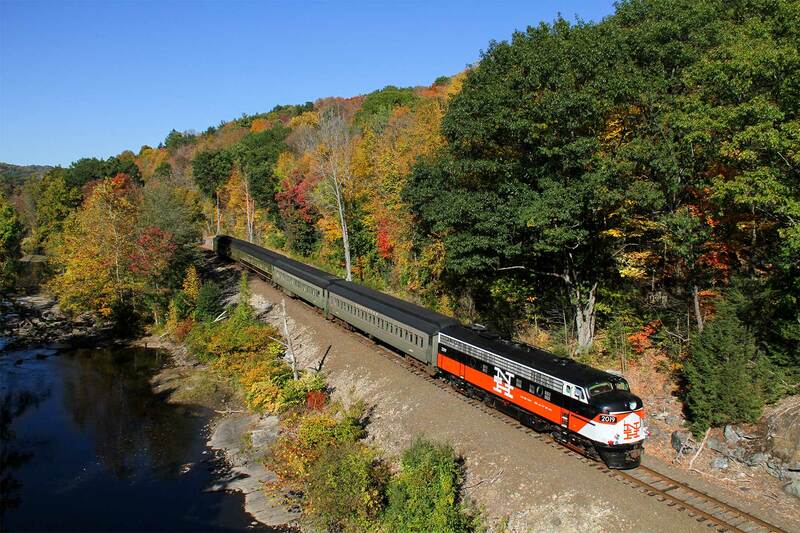 Here we will ride the Naugatuck Railroad through the beautiful Naugatuck Valley, following the Naugatuck River on the museum’s historic, 1920s-era passenger cars pulled by one of their vintage diesel locomotives. We will have ample time for a lunch break between the two museums. The ticket price for the chartered bus, train ride and museum visits is $79. Lunch is not included in this price. Please book your tickets ASAP! Orders are due by June 16, 2017. For further information, please contact Robert Colorafi using our contact form.